What choice do Uber drivers have these days and why should anyone care about their situation? If one’s able to get around at $1.30 per mile and don’t need to tip, why spoil the good times? It’s too easy for Uber riders to look the other way while reaping the benefits of such savings and service. 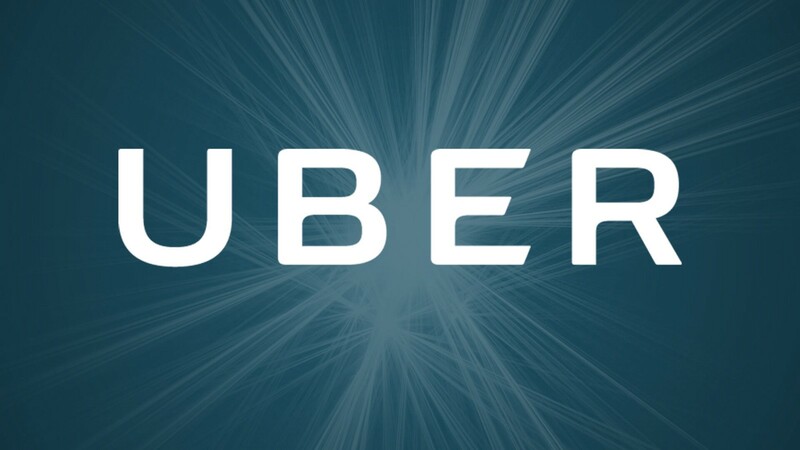 Uber’s primary goal was to disrupt and challenge the taxi industry, making car service more accessible and affordable. In many districts it’s superseded this, forcing countless cab companies out of business. Downloading the Uber app is proving to be a win-win and no-brainer. In my home district of northern New Jersey, I recently spoke with an Uber driver. This driver maintains a professional appearance with a clean car and driving record. He also has prior experience driving for a black car service. When he accepts a ride, he has no idea where that customer is headed. On this day, he refused a ride going into the city. You’d think an Uber driver would have a right to know where they’re going — after all, it’s their car. They don’t. Not in our district. When a New Jersey Uber driver heads into New York City, their app shuts off. NJ drivers are prohibited to pick up in the city, including Jersey-bound travelers. Under these guidelines, they’re forced to return without a fare and compensation. Not an easy trip in Manhattan’s notorious gridlock. Wouldn’t ya know, a half-hour later, that Uber driver received a hostile message from Uber Central. Appears some Fruit of the Looms were in a twist over that refused fare. Mr. Understandable Customer filed a complaint with Uber. Headquarters demanded an explanation while threatening a driver suspension if this nonsense continues. In the end, Uber has a marketplace to conquer. Why look after the drivers helping them achieve this? When I asked this Uber driver about a roadside assistance program he laughed. He does belong to AAA which offers an affordable service. Since these drivers are helping Uber build their platform, you’d think Uber would provide such benefits. Uber drivers receive 75% commission with added fees and surge pricing, but don’t be fooled. This isn’t enough to absorb operating costs, depreciation of their vehicles, and costly repairs due to the added mileage. The populace gladly overlooks this when they need a ride. Why spend three and a half bucks a mile with Checker Taxi when one could pay a fraction of that cost? (Four dollars per mile and upwards for a black car service). In order to provide better pay, Uber would have to raise their rates and commission scale. What’s another dollar per mile? A mandatory gratuity box where riders could select their percentage? It’s all for the little guy, folks. Speaking of gratuities, Uber employs a no-need-to-tip policy that eliminates another stream of income for their drivers. A typical shift in the taxi and limo business might yield an extra fifty to one-hundred dollars in-pocket for those drivers. Many black car services charge a 20 to 25% gratuity to the card on file. Why can’t Uber do the same? Why can’t Uber raise their rates and build them into the cost of doing business? The riders might complain, but do you really think they’ll leave the platform? I doubt it. This added revenue would certainly assist the drivers with fuel, maintenance, and depreciation costs. Many of the services, repairs, and towing fees that remove cars from the road are expensive and time-consuming. More than that. The last time I checked, extra income helps with life’s essentials. Rent, food, and utility bills come to mind. Uber’s no-tip policy has also created a culture of user entitlement. Like that rider and his trip into the city, scores of Uber customers have become spoiled, demanding, and bossy. And Uber’s in on it. The no-tip policy is Uber’s way of collecting customers while suppressing, trapping, and controlling driver wages. It’s a system that prioritizes customer savings over potential earnings for their drivers. The danger with this model are future precedents. Since Uber is considered the prototype, more gig platforms will follow suit. Constructing models built on service and savings — all at the expense of vulnerable, exploited, and desperate labor. By the way, who ever said Uber is a car service? A high-tech, futuristic taxi? It’s a ride-share and there’s a difference. The Uber customer is a guest in someone’s car. It’s alternative transportation at a reduced rate. For the convenience and efficiency, this stranger carries it out. It’s never the rider’s car, even for the duration of the trip. Uber customers often complain over dirty and cluttered vehicles. Why not agree to that gratuity window that will help the drivers pay for car washes? Since when do stars, ratings, and likes pay the bills? Over the years, Uber brass has even practiced malfeasance against their own. A toxic culture known for mistreating women in their corporate offices while bullying various employees. All this propagated by a founder who’s a frat boy on steroids. Uber’s latest travesty uncovered another doozy. In November of 2016, a major security breach where drivers and riders had their personal information copied and stored. Uber tried covering this up by blaming an outsourced contractor. When board members finally kicked frat boy and his ilk off campus, the new regime fessed up to these transgressions and other sinister stuff. To their credit, they’ve been on deck since day one to clean it up. Here’s the headline from that cookie jar raid: Historic $148M Settlement In Uber Data Breach: New Jersey Gets $3.75 Million. It’s believed that 600,000 Uber drivers nation-wide fell victim to this scam. It’s also estimated that 16,000 of them resided and worked in New Jersey. I wonder how much of that money is going to the drivers who suffered this security breach? After all, wasn’t it their private and personal information that was hacked and sold? Nothing, I’d bet. Why would the victims be entitled to any money? Phil Murphy, the governor of New Jersey and champion of the working class will keep it in escrow. You know, for rainy days and the little guy. I’m not suggesting that one drops Uber and return to their local cab company — if they’re still around. In order for these gig economies to work, there needs to be better earnings, incentives, and support for the workers. They’re the ones providing the service and building the platforms. It can’t be a win-win for Uber and the riders at the expense of the drivers. Despite the substantial savings, no one can tell me with a straight face it’s a square deal, much less a prosperous one for the drivers. I’m not implying driving for Uber should be a shortcut to buying in Beverly Hills either. But it ought to provide better income and over all financial promise. For many, these side hustles have become their primary sources of income. We should all continue enjoying the fruits of the gig economies. However, the people providing these services need a better deal. As empathetic citizens, we must stop the bristling and lip service while kicking the can down the road. It’s time to step up and pay a little more for these services. Surcharges and gratuities will still provide a bargain. If the Uber customer refuses, let them leave the platform. Why should this extra money be allocated as more savings instead of paying the drivers their fair and equal share? If we’re going to talk about inclusion, the elimination of poverty and stronger paths to prosperity, it’s places like this where it starts. The tech economy is no longer just a tech issue — it’s surpassed that. Today’s tech is too large in scope and predominant. A major cog that keeps expanding and influencing societies all around the world. We need to make the tech economy better for everyone involved. Not just the Silicon Valleys and their users, but all platform workers and the future of the movement.